That place. That place where when you arrive you feel immediately calm, centered, and most like yourself. That place for me is Hilton Head Island, SC. I left my true home in Charlotte when I was 16. My parents sold our childhood home in the city and moved to the suburbs. It was devastating and at the time I attributed this to the loss of my actual house, but in retrospect it was the loss of my neighborhood and community. Ever since then, when I needed to find a place that provided the same security and sense of love to me, Hilton Head has stepped up to the plate. Perhaps it’s because it’s the only place I can go to and feel the memories that I had as a child. Perhaps it’s because its been the only place throughout the entirety of my life that I return to consistently. Perhaps it’s because I went there right after my grandmother’s passing to mourn. Perhaps it’s because I took my first steps in Hilton Head. It’s always been there, I love this place. 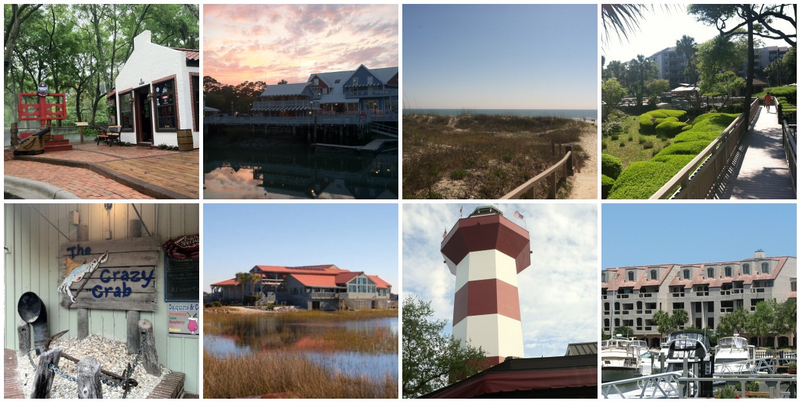 My favorite places in Hilton Head: Pirates’ Island Adventure Golf, South Beach, the beach at Palmetto Dunes, the Omni Hotel, the Crazy Crab, the Oyster Factory, Harbor Town, and Shelter Cove. So when I drove almost a 14 hour round trip for a day and a half on the island this past weekend, I am pretty sure some of my fellow Floridians thought I was crazy. After all, we have the fourth nicest beach in the world 35 minutes away. It was only when I arrived there that I realized how much I needed it. I am a trooper; I went to boarding school when I was 15 and since then, I have had many new beginnings in my life. My move to Tampa and beginning a new job has been amazing and everything that I’ve worked for my whole life. But it’s still a transition, and when I crossed that bridge at 11:40 pm on Friday night, Hilton Head reached its arms around me like it has my entire life and I felt at peace. There is one special place on the island that means more than all the others…I just have to share it. 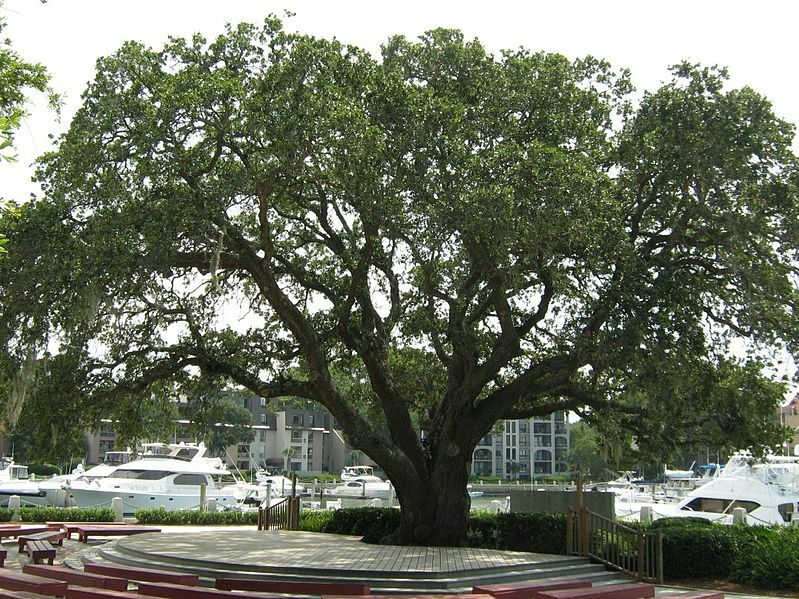 Charles Fraser, the original developer of Hilton Head Island, was committed to saving an ancient oak that stood in the middle of his planned harbor. He designed it and the rest of Harbor Town, one of the most beloved places on the island, around its preservation. Every night in the summer a children’s singer by the name of Gregg Russell (shout out to Gregg here), sings. He even has little children come up on stage to sing with him. My brother sat on that stage of children before I was born, then myself, and now my nieces and nephews. This show is a foundation for our family. Gregg Russell a great entertainer for sure, but why I love going to his shows decades later is the place where it is held. There is nothing more beautiful than sitting under an oak tree that is hundreds of years old with the moonlight shining through it. This is all very ironic because Hilton Head Island actually has pretty appalling urban design. Hilton Head has a long history steeped in Native American, African-American slavery, and Civil War culture, but most of what you see on the ground was built in the 1960s and after. It was developed as a resort town, and therefore is divided up into “plantations.” The name, given the island’s history, is very irksome. As a result more than 70% of the island is in gated, private communities. The public can enter many of these plantations, but for a cost and at the discretion of security. Unfortunately, this pretty much goes against everything that I believe our built environments should represent. The result is that the island feels very exclusive…and I hate to say, upper/middle class. While Hilton Head has a very active cycling culture, it is impossible to be a pedestrian for utilitarian purposes. Sure, you can take a stroll down the beach, or walk to the tennis courts, but if you want to actually leave your plantation you are pretty, well, screwed. The island’s land uses are organized around one arterial highway. It has a completely disconnected street network (but remember, they wanted it that way), and uses that are very spread out. It’s not a big enough place where you couldn’t tackle it on your bike, but these rides are always saved for leisure purposes, not trips to the grocery store. In fact the majority of land along this arterial doesn’t provide a sidewalk at all. I do have to say Hilton Head did achieve one crowning glory. They saved their trees. As a result the island is for the majority under tree cover, and I a mean beautiful hundred year oaks with hanging moss. They also have strict town ordinances of very little public lighting and natural wood carved signage. I tell you, that is one classy McDonald’s. As a result there is a distinct character, so much so that I can be any where in the United States and say “hey that’s Hilton Head architecture.” It’s not really, it’s just that Hilton Head is very much representative of the early 70s. And yes, they managed to make that charming, trust me. …but hey, sometimes you can’t help who (or should I say where) you love. “They saved their trees.” True! And this was accomplished not only through the use of design, but through legal wrangling; the development on HH is significant in the world of property law for its early implementation of “green” restrictive covenants. Very interesting. I do think that we will have a large amount of pent up dmeand. The Hilton Head market is probably worse than most of America and I do think at some time there will be a shortage of new homes. There are several plantations in fact where there have only been one newer home built in the past year. So I do think we will see this, but not in the next three years.